Summary: This document will explain to you the ways to fix the error of “USB device malfunctioned” on your USB Flash or external hard drive. All you need to do is to follow the given steps and procedures. We all are familiar with the functionality of a USB device. It stores and backs up data from PCs and laptops etc. in order to transfer to another device when plugged in with it. 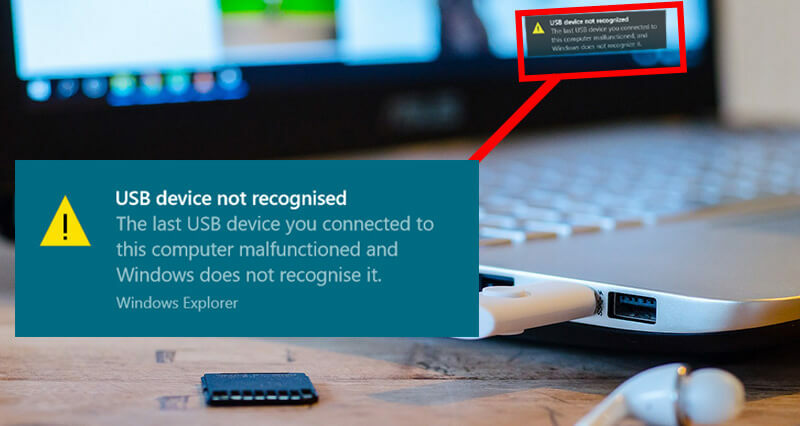 However, sometimes when you insert a USB device to your laptop or a computer, you may come across an error message saying “The last USB device you connected to this computer malfunctioned and Windows does not recognize It.” or “USB device not Recognized” and so on. Whenever this error occurs, the USB drive is not showing up, and if you check from Device Manager, this USB drive is detected as Unknown device. Moreover, this error message usually occurs in Windows XP, 7, 8 and 10 and the error will not only hamper your work but also kill all that excitement you gathered to watch your favorite movie, a TV show or maybe pictures from your last vacations. What causes the error “USB device malfunctioned”? The cause of error “USB device malfunctioned” depends upon varying combinations of the environment in which the computer system runs. This means that the reasons can be different in a different computer environment. Below mentioned are some of the factors why the USB device cannot be recognized. Bugs and errors in USB controllers. USB port provides an insufficient power supply. 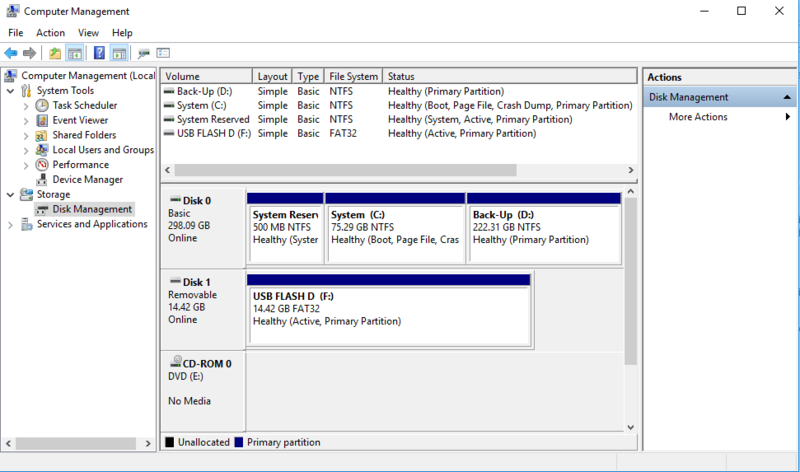 USB drive or partition corrupt. Windows might have missed hardware updates or software issues. PC motherboard needs updated drivers. Before fixing the USB device not recognized error, I would suggest you to try with other USB ports or PC and if the error remains the same, do not worry! There are a couple of tangible solutions which can help you to overcome the concern. So, let us go through the solution to fix it all up. Sometimes simply disconnecting the power supply and restarting the target computer may solve the issue. Give it a try! Step1: Remove or disconnect the power supply from the computer. Step2: After doing this, “Restart” the computer. Step3: Connect USB to any of the USB ports. Step4: Once the USB is connected to the port in the computer, then turn on the power supply. The problem might be some operating system conflicts. 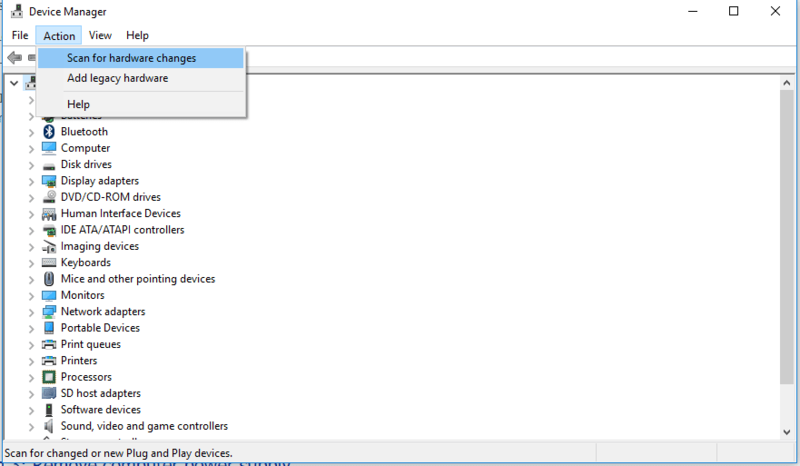 Type “Device Manager” in the Search Window and Enter. Right-click to Scan for hardware changes. Step1: Press Win+R and type devmgmt.msc and then open Device manager of your computer system. Step2: Look for “Universal Serial Bus Controllers” and click on it to expand the list. 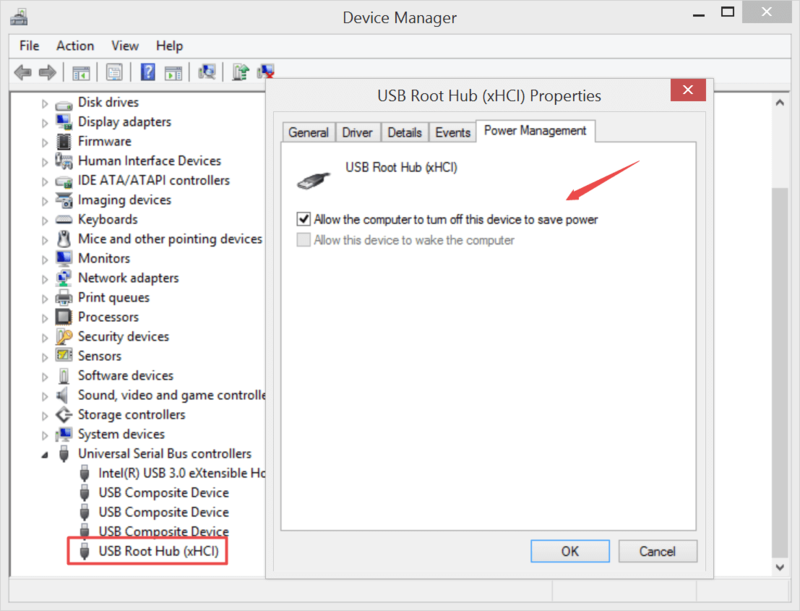 Step3: Now, search for “USB Root Hub” option and right click on it to select the properties. Step4: After this, open “Power Management” option to uncheck the option “Allow the computer to turn off this device to save power” and press “OK”. Step1: Go to Device Manager. 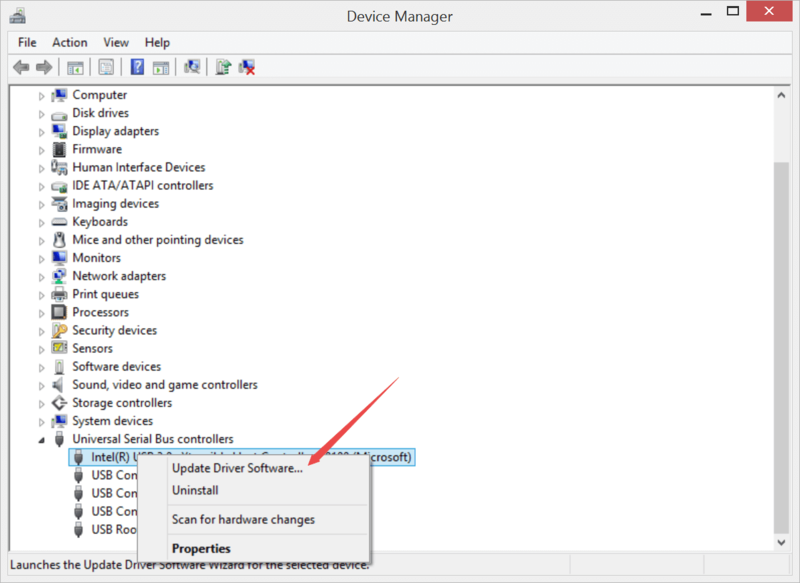 Step2: Search for the option “Universal Serial Bus Controllers”, right click on “USB drivers”, and then click on “Update Driver Software”. Do this for all USB drivers by selecting them one by one. Step3: Now, restart the computer system. Step 4: If you can’t fix USB device malfunctioned error, try with the Uninstall feature and after that, plug your USB device again to the USB port to let the driver automatically reinstalled. Step1: Go to Search bar of your computer and look for the “Power Options”. Step2: Now, check the option “Advanced/High-Performance Power Settings” located under “Select a Power Plan” tab. 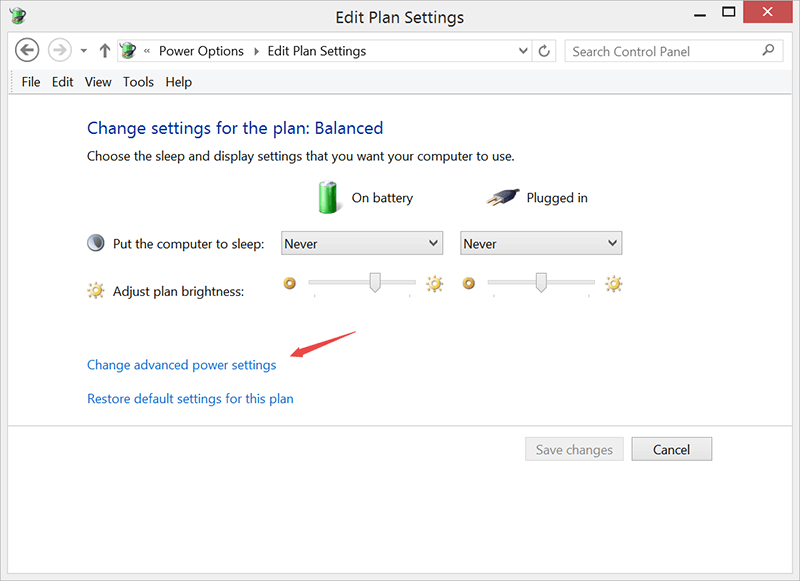 Step3: After this, a new window “Edit Plan Settings” will open, click on “Change advanced power settings” option. Step4: Doing this will take you to Power Options window, here search for “USB settings” option and click to expand it, likewise also open the “USB selective suspend settings” option and “Disable” the “On battery and Plugged in” options. Step5: Then click on “Apply” and then again hit the “OK” tab to save the changes. Step 1: Go to the Motherboard’s manufacturer website and find the latest Chipset Driver and then download it, follow the tutorial to update the driver. If you don’t know which manufacturer is, simply review from your computer’s document. Step 2: Restart the computer and check whether your USB malfunctioned issue persisted or not. Follow any of the methods mentioned above to fix the “USB device malfunctioned” error. These solutions should help you to access your USB and store data into it. Nevertheless, if none of these methods work and you are still not able to access your USB device then, it is recommended to recover your data using a reliable data recovery tool as it might be a problem with your USB drive itself. The first step you should do is to check the USB device whether can be found in the Disk Management, follow these steps: Press Win Key + R and then type Diskmgmt.msc to open the window, after that, confirm the USB device existed or not. Download Bitwar Data Recovery at no cost from the official website: https://www.r-datarecovery.com. Now, after downloading install the software in your computer system. Connect the USB drive and launch the recovery software and set desired Recovery mode depending on the issue. If you do not know the exact reason, then select it to “Wizard” mode. Choose the type of data you wish to restore and click on the “Next” button to start the scan. If you do not know what data is to be restored then “select all types” and click on “Next”. Once scanning is done, all the missing files matching the selection will get listed; this will let you preview the data one by one for selection. 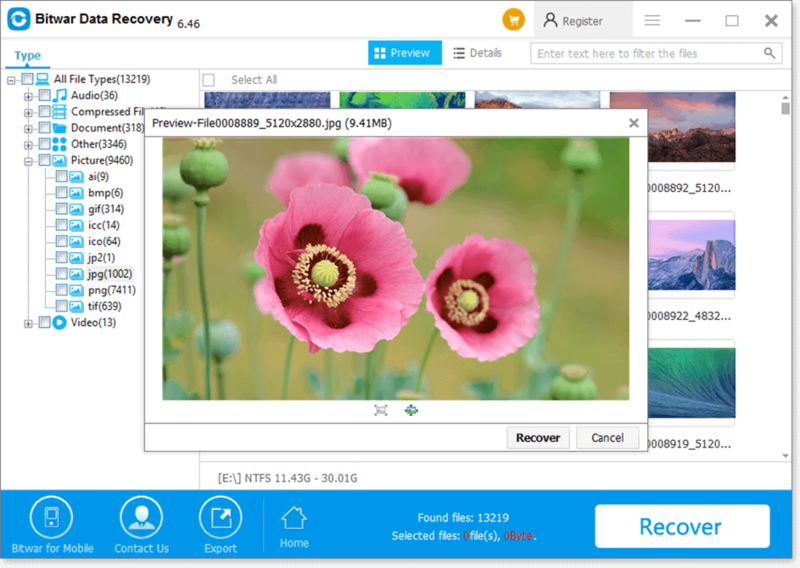 Select, the data you wish to restore and then click on “Recover” to retrieve it back. There are many reasons which may cause “USB device malfunctioned” error. This error will neither let you open/access your USB Flash drive, external hard drive, nor it will allow you to store any data, which will ultimately leave you helpless and frustrated. However, there are a couple of solutions as stated above, which can help you to overcome this issue. But, the certainty of fixing the error is not there. You may go ahead and try each of these solutions to correct the error, but when all these solutions fail to deliver results then opting for a good recovery software is the only way out. Our “Bitwar Data Recovery Software” is 100% result oriented, safe and intuitive. It is compatible with both Mac and Windows and promises to deliver fast results without letting you lose your data. So, choose wisely and follow the methods as mentioned above to easily eliminate “USB device malfunctioned” error without losing your precious data and keep yourself connected to your computer or any other device without any interruption. Previous articleQuick Fix Recycle Bin Corrupted Error with a Few Clicks! This article saved a lot of my time. Thanks very much! We are happy that we can help you with your issues, Shirley, have a nice day!